"I just wanted to say how amazing the practice was last Saturday. Thank you again!" -Stacy B. 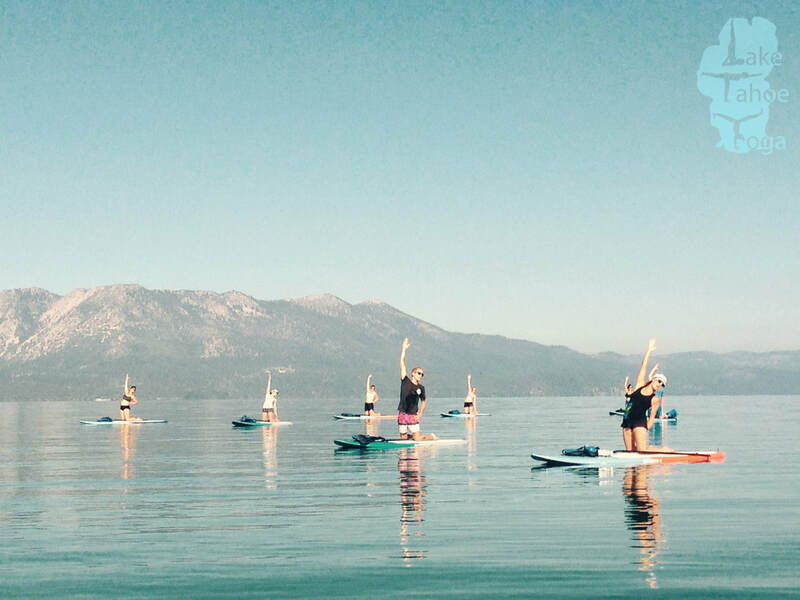 Welcome to Tahoe's Orginal Paddle Yoga Practice. In 2010 we pioneered Paddle Yoga in Lake Tahoe. ​Since then, we continue to improve our skills in guiding practitioners to learn how to walk on water. Join us for a Paddle Yoga Session and enjoy the peace, beauty, and magic of Lake Tahoe. If you would like to register for a future session, follow the link below. All practices are weather dependent. Confirmation of your reservation will be sent upon payment. ​﻿﻿﻿There is a limit of 15 participants. ​​Lake winds, water and air temperatures can put us at risk. ​You will be contacted no less than 1 hour prior to your session in the case of cancellation. Follow us on Facebook for updates and schedule changes. 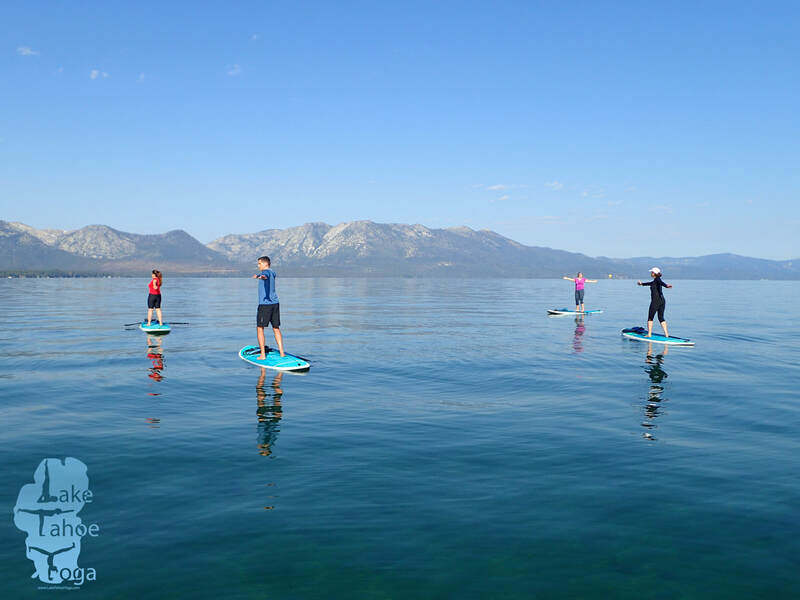 Stand Up Paddle Yoga is made possible through a collaboration with South Tahoe Stand Up Paddle. We meet at Lakeview Commons in South Lake Tahoe. Increase your comfort on the water with a privately booked Paddle Yoga Session.